A winner for the second year in a row, San Jose, Calif., claimed the coveted No. 1 spot in Zillow's hottest housing market report for 2019. Why so sought-after? San Jose has the highest home values and forecasted home-value appreciation among the 50 largest metros in the U.S., states Zillow, as well as the most jobs per person and the lowest unemployment rate. 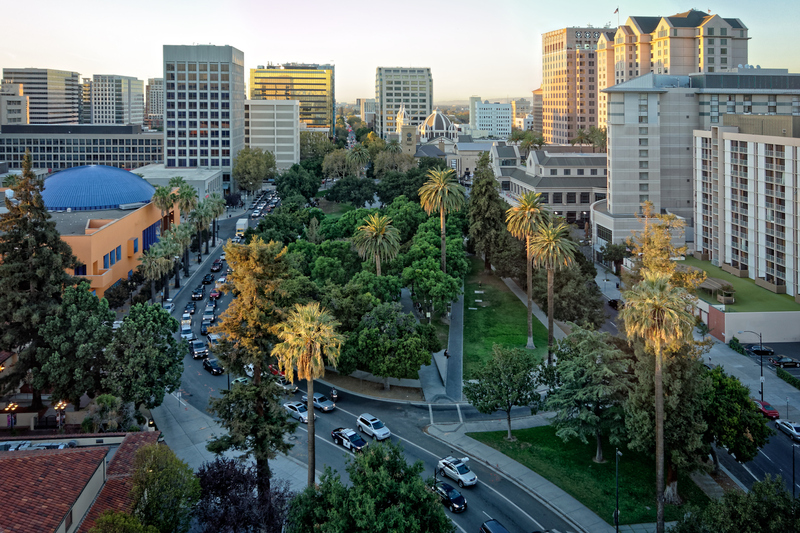 San Jose is seeing thriving home values—they increased by over 10 percent last year and are predicted to grow by 12.7 percent in 2019—and the city was ranked high for income growth, as well. The predominant winner, however, is the South for its abundant job market. Southern metros make up half of this year's list due to the promising growth of tech industries that are bringing in job opportunities, as well as low median home values, which are attracting residents in search of home affordability. In order to rank the hottest markets, Zillow looked at home values and rents, predicting which areas will outpace the U.S. in 2019, and also took into consideration job opportunities, low unemployment rates, strong income growth and a growing population. "When it comes to the country's hottest housing markets, longtime leaders are hard to displace, but a number of up-and-comers are nipping at their heels. Silicon Valley's white-hot jobs market has propelled the region's housing market—which we expect to continue into the early months of 2019—but there are some signs that the trend is away from the West Coast and toward the South and Southeast," said Zillow Senior Economist Aaron Terrazas. 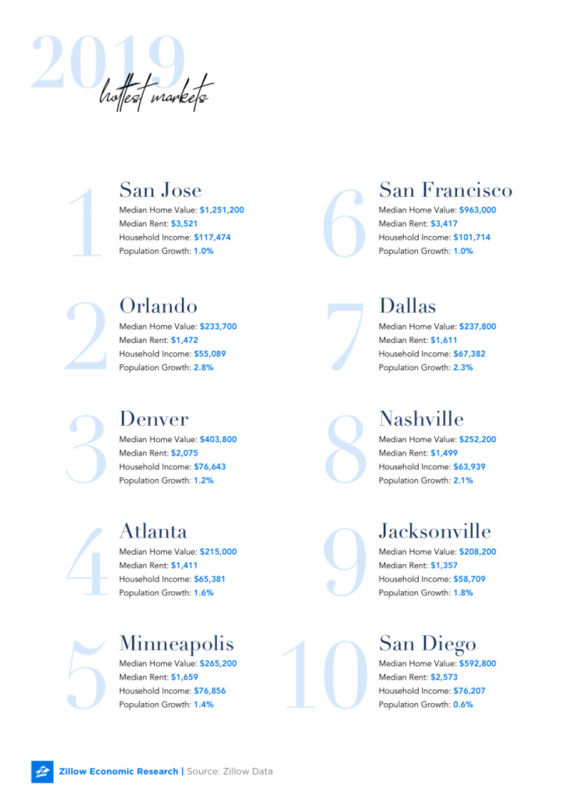 "Affordability is attractive for both young professionals and booming businesses, earning markets like Orlando, Minneapolis, Dallas and Nashville top billing in 2019." For more information, visit www.zillow.com.